Celine’s breath caught in her throat. Heat smoldered in her belly. What a sensual man. The scion of the Andrews family carried an aura of personal magnetism so powerful, a sensation close to fright swept through her. She stood still and aloof, masking her emotions. His intense gaze seemed almost a physical touch. She held her head at a proud, haughty angle, not flinching from his bold scrutiny. Celine Kirkland stared down at the simple wooden casket. Rain drummed against the lid, turning the open grave into a muddy pit. The pungent smell of wet earth and the film of grit in her mouth nauseated her. The wind kicked up. Icy rain swirled around her and stung her cheeks. She shivered and pulled her full-length, hooded cape tight against her body. It seemed as if nature was bidding her mother-in-law a raucous farewell. Numb from grief and cold, she climbed into the wagon with her husband and father-in-law. Lightening fractured the sky, and ear splitting thunder shook the ground. She clutched her swollen belly as if to soothe the babe kicking inside. The rain turned into a deluge. “God, this is foul weather,” Stephen groaned as he snapped the whip in the air and urged the two draft horses into a trot. The horses jerked and danced to the left, wild-eyed and whinnying. “Whoa!” Stephen yelled through a roar of thunder. The wagon tipped sideways. Celine gasped and gripped the edge of the rough sideboard, he blood running as cold as the pelting rain. The beasts pawed the ground. One of them whinnied again, nostrils flaring, and braced itself against the forward motion. The other twisted hard against the reins, trying to turn back. Stephen lashed out with the whip just as a flash of lightening lit the path in front of them. Too late, Celine sped the gaping hole where the bridge had been. She screamed. The horses and wagon jackknifed against each other. The wild shriek of animals and metal grinding against wood vibrated through the air as the wagon careened toward the river. Celine jerked awake, and caught herself before tumbling out of the window seat. Rubbing her eyes against the light streaming through the window, she glanced at Marie. 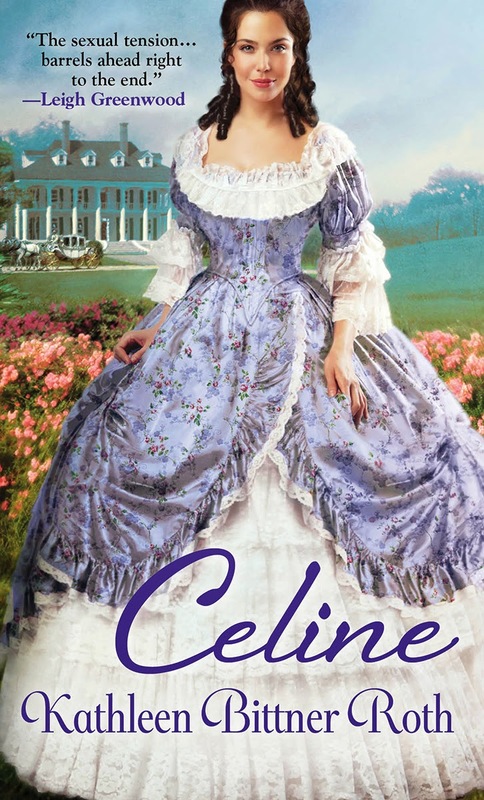 Her maid stood near the bed, folding clothes and appraising Celine with a worried frown. “Sorry, did I moan?” She rubbed her stick neck. Born in Minnesota, Kathleen Bittner Roth has lived all over the U.S.: Idaho, Washington, California, Texas and New York. Currently, she resides in Budapest, Hungary, often called the Paris of the East. Kathleen has won countless awards for her writing, including finaling in RWA's prestigious Golden Heart contest. 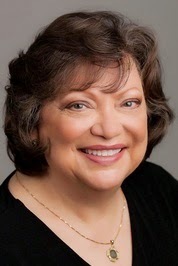 She is an active member of Romance Writers of America, including the Hearts Through History chapter and has been a contributing editor for an online romance magazine as well as writing and producing successful seminars and meditation CDs. Thank you for participating in CELINE!